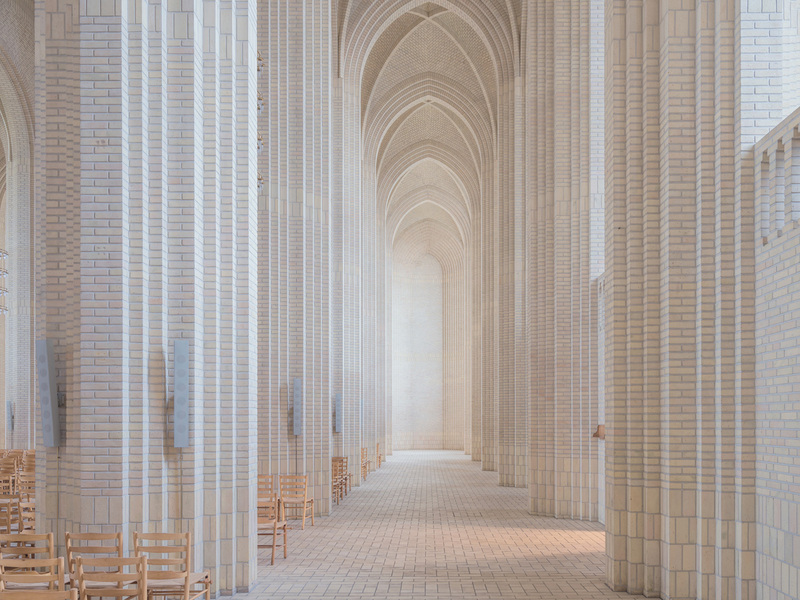 Located in Copenhagen, Denmark Grundtvig’s Church referred to as a Gothic cathedral, but it is a fine piece of expressionist architecture. The building of the church was completed in 1940. 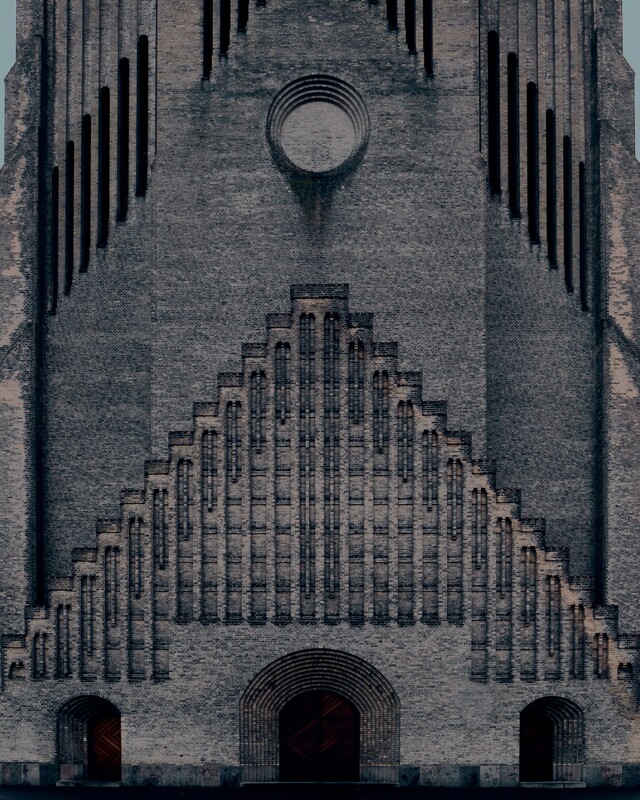 It was built in commemoration of the Danish priest, poet, politician and reformer Nikolaj Frederik Severin Grundtvig. 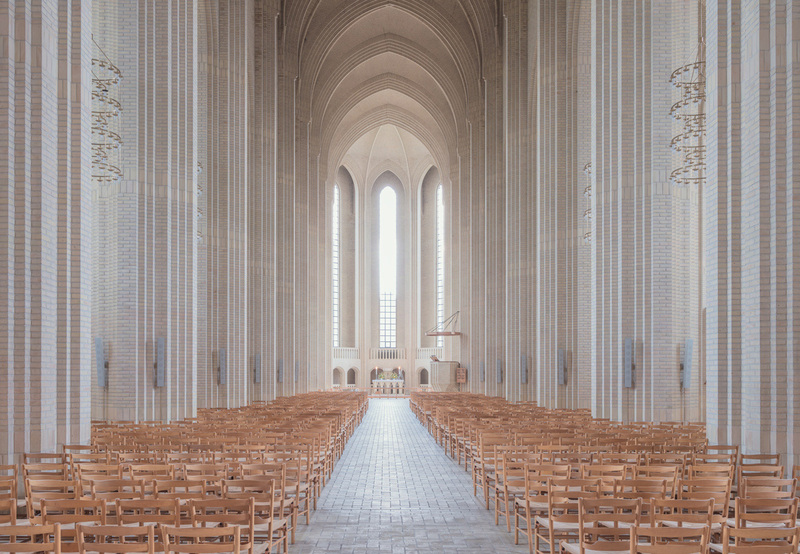 His philosophy influenced modern danish national conciseness. 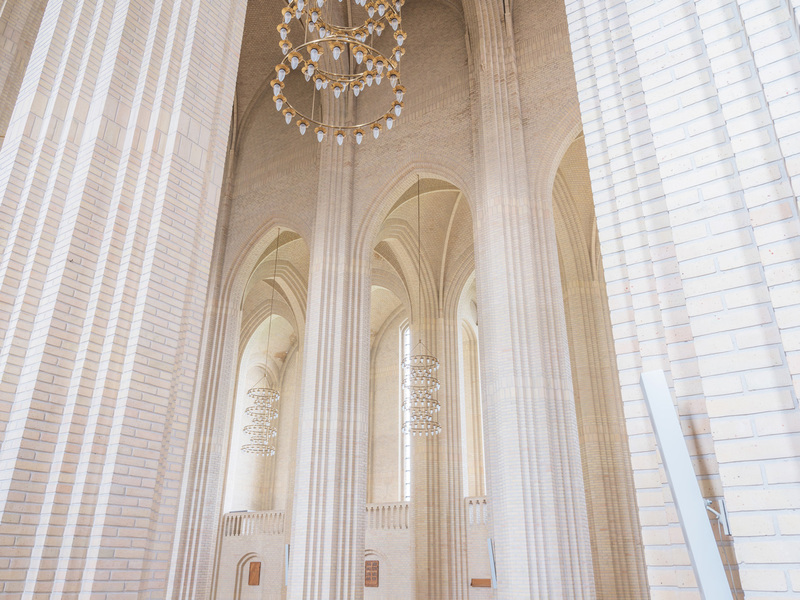 Even thought the only decoration of the church is a yellow brick and there are no frescos or stained glass windows, interior of the church is quite traditional. 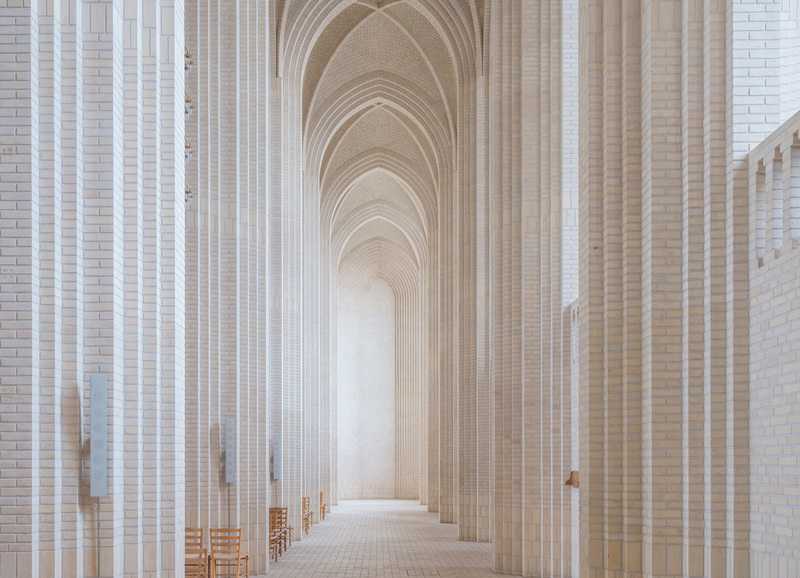 It has the elements of a traditional Gothic church: massive columns,pointed arches, triple nave and choir. 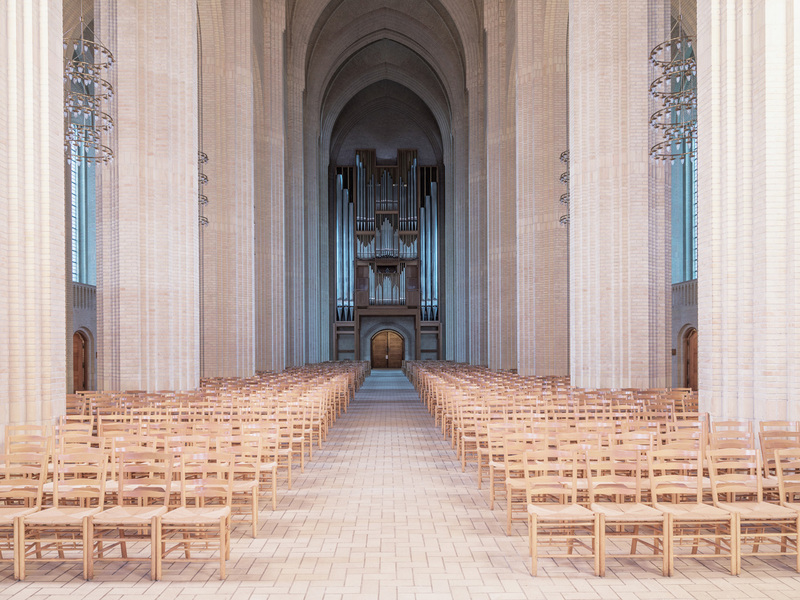 The beech wood chairs, with wickerwork seat are a fine example of a traditional Danish furniture design. 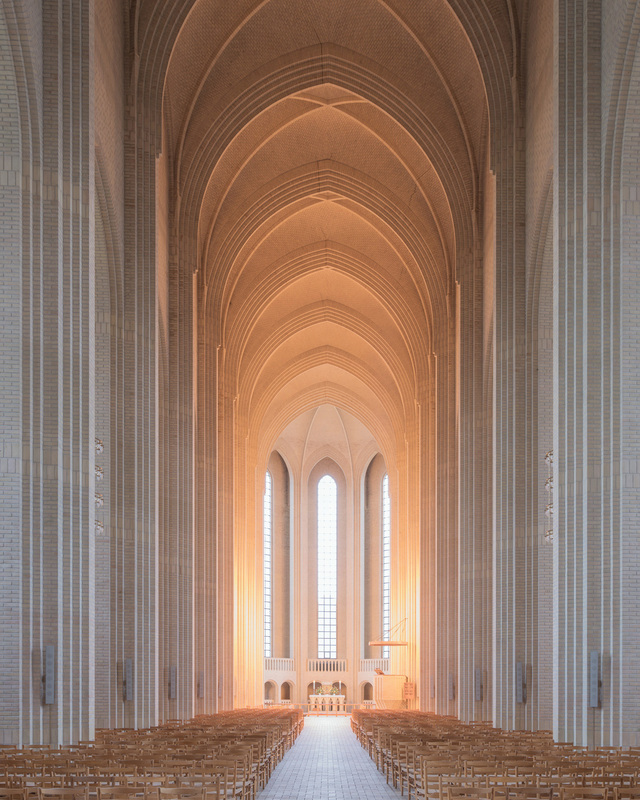 Gruntvig’s Church is worth visiting, if you are an architecture admirer.